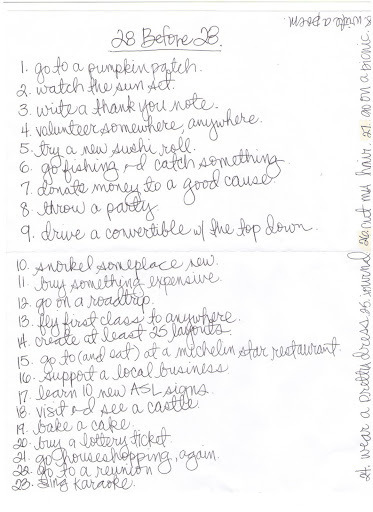 I was inspired by Nat to create a list of things to do before my next birthday. Yeah, I know it’s not my birthday, but why wait until my birthday to create a list?! Thus, I’ve created a list of some of the next things I plan to accomplish before March. I’ve accomplished some of these things in the past, but why not do it again for a whole different experience?! The goal is to complete at least 80% of my list. Today, I plan to cross of at least one or two of the numbers, haha! My favorite part about the above layout is the flowers. I like that they now have brads and embellishments that go with their papers. Yeah, I liked their sticker sheets, but the more embellishments, the happier I am, haha. I also made a sample for the store using Apothecary Emporium. I can’t believe that Halloween is right around the corner. It’s so close that we’re getting shipments of paper and embellishments of Halloween stuff all the time. Yikes! Where did this year go?! …and isn’t it pretty lame that I’m only getting around to last year’s Halloween pumpkin patch photos now?! Now, I’m off to go work on my list of things to accomplish before 28. Off to buy a lottery ticket… Wouldn’t it be funny if I actually won something?! PS: Thanks for all of the congratulations yesterday with the announcement of my new Authentique gig. I totally appreciate it. I can always use lots of positive vibes. Love Happy Days! Cannot believe it will be time to hunt for pumpkins before too long. 12 and 18 could go together, huh?! you like how it says visit (AND SEE) a castle. HAHA. And, as always, I love your layouts! That sounds like an excellent list of things to do between now and March!! 🙂 Love the layouts too of course!! Ok Miss Sarah I’ve got a plan. You fly first class to NY and we’ll gladly take you fishing and to the pumpkin patch…and I’ll even bake you a cake. Then we could scrap 25 layouts (or more if you want to) together. Then we’ll rent you a convertible to drive back home in and that will cover both #9 and #12. Oh and while you’re here you can grab a lottery ticket and my kids would love to sing Karaoke with you. That should put a good dent in your list huh? Oh and did I mention we have amazing sunsets?? ?